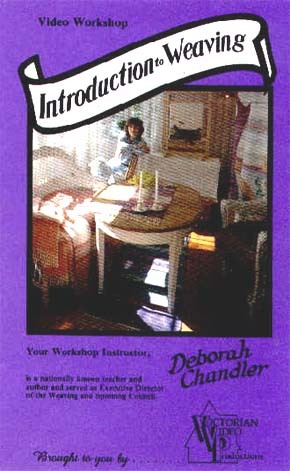 Many people want to weave, but do not know much about the basics or where to begin. This course is designed to acquaint you with the basics and hopefully help you choose a direction. The course begins with an overview of what handweaving is, what can be woven, and a look at a few types of looms and what they will do. You will become acquainted with a number of small tools used by weavers, as well as the vocabulary of weaving terms needed to understand the process. This course also provides a brief overview of different warp and weft yarns and how their size, weight, elasticity and fiber content relate to specific projects and fabrics. A very detailed exercise in warp and weft calculating (figuring out how much yarn is needed for a project) will be a valuable resource as you continue with future weaving projects. 57 minutes.